Remember the days when the only choices for coffee were regular and decaf? Those days are long gone as evidenced by all the choices offered by the local coffee shop, the supermarket and, dare we say, the office coffee service. Among the plethora of choices are light and dark roasts. Companies like Galaxie Coffee sell coffees in a variety of roast options. There are light, medium, medium-dark, and dark roasts to choose from. But do you know what each of those options means? Do you know the difference between light and dark roast coffees? Numerous factors go into determining what a cup of coffee tastes like. Roasting time and temperature influence flavor the most, which is why so much attention is paid to roasting these days. Non-roasted coffee beans are very soft and largely flavorless. Roasting is required to bring out the flavor embedded in the oils deep within the beans. As beans are exposed to heat, those oils begin to rise to the surface. The more oil the bean releases, the more robust it will be. It would be rather difficult to rank coffee roasts according to flavor given all of the differences created by growing environment, cultivation, blending, etc. An easier way to address roasting is color. Thus, a light roast coffee is a light brown color with no visible oil sheen on the surface of the bean. Light roast coffees are mild but acidic. You can also taste the origin flavors of the beans themselves. A medium roast coffee is slightly darker because it has been roasted longer. It also sports a more balanced flavor. There is less acid and fewer notes of origin flavors as well. And believe it or not, medium roast coffee has less caffeine than light roast. A dark roast is a coffee that has been roasted for the maximum amount of time. It gets its name from the dark brown (or sometimes black) color of the finished beans. It is also visibly different in that you can see an oil sheen on the outside of the beans once roasting is complete. Dark roast coffees tend to be more bitter. Some have a smoky or burnt taste, and all have very little origin flavor remaining. What origin flavors do remain are often overpowered by the burnt or smoky flavor. Dark roast also has the least amount of caffeine. Coffee preferences in the U.S. are more regional than you might think. For example, coffee drinkers on the East Coast tend to prefer lighter roasts while those on the West Coast prefer darker. Europeans are also big fans of darker roasts. Regardless of your preference, Galaxie Coffee has the right roasts for your office. We invite you to contact us to learn more about our office coffee service throughout the greater New York area. We would be happy to serve your workplace with the finest beverages and equipment. 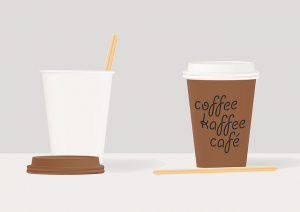 The paper coffee cup has almost all but replaced foam cups in many parts of the country. In New York City, a law passed in 2015 banned the use of foam food containers within city limits. Elsewhere, local and state leaders have taken steps to reduce the use of foam products by encouraging businesses to switch to alternatives. Here at Galaxie Coffee, we are big fans of paper coffee cups. Our customers are too. 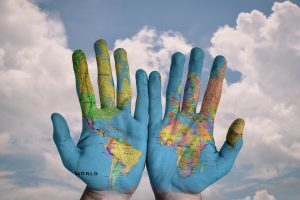 In light of all that the paper coffee cup has done to reduce the amount of foam going into landfills, we thought it might be interesting to discuss three facts about paper coffee cups a lot of people don’t know. Paper drinking cups have been around for quite a while. In fact, their roots can be traced back to the early 1900s and high rates of infection among schoolchildren and train station passengers who used community cups. The obvious need to put an end to those infections gave us single-use paper cups. The first single-use paper cup was developed at the turn of the 20th century. Its success led to the Dixie cup’s introduction in 1908. Back then, paper cups were sealed with clay in order to make them waterproof. Unfortunately, clay distorted the flavor of the beverage being consumed. It also caused problems with condensation on the exterior, leading manufacturers to transition to wax. Wax solved the flavor problem quite nicely. However, it didn’t do much for the condensation problem. So manufacturers kept looking for a better sealant. Manufacturers eventually hit on the idea of sealing paper cups with a thin layer of polyethylene (PE). Because polyethylene is a plastic, it makes the inside of the cup waterproof and prevents significant condensation on the exterior. PE also holds up better than both wax and clay against hot liquids. Indeed, polyethylene paved the way for paper coffee cups that were unheard of before it was introduced. As a side note, a new sealant was introduced in Finland in 2017. It is fully compostable and decomposes much more quickly than polyethylene. It also does not contaminate the recycling stream so there is no problem throwing paper coffee cups coated with this sealant in with other recyclable products. Finally, single-use paper coffee cups are often made from recycled paper. Manufacturers prefer virgin paper for any cup with a surface that comes in direct contact with food or liquid, but that’s not an issue for coffee cups sealed with polyethylene. That makes recycled paper a more attractive option. Paper coffee cups are just one of the many products we provide customer throughout the greater New York area. For a complete list of our products and services, give us a call. One of our customer service representatives would be more than happy to discuss your office coffee needs with you. If you have ever heard someone speaking about the flavor notes of coffee and thought that person was just being snooty, think again. Snootiness may have been part of the equation, but coffees from different regions of the world do taste quite different from each other. The two most prolific coffee producers in East Africa are Ethiopia and Kenya. History suggests that Ethiopia is the birthplace of coffee, though that has never been conclusively proven. At any rate, Ethiopian coffee tends to be bold, full flavored, and rich with earthy notes. Kenyan coffee, by contrast, tends to be sharp and fruity. It also has a very rich aroma that sets it apart from other African coffees. Guatemalan coffee is the most recognized coffee from Central America. Its rich, distinctive flavor comes from the volcanic soil the region is known for. Guatemalan coffee is deep and complex with a somewhat spicy flavor. If you are looking for something with medium body and more balance, try coffee from Costa Rica. A combination of regional weather and processing practices give this coffee a distinct flavor. Colombia and Brazil are two popular sources of South American coffees. In fact, Colombian coffee is considered in some circles as the standard by which all others are judged. Both regions are known for medium-bodied coffee with good balance and low acidity. Though we do not normally associate Asia with high quality coffee, some exceptionally good coffees come from Indonesia and Vietnam. Indonesian coffees tend to be aged over time, resulting in medium body and low acid content. Coffee from Vietnam is mild, slightly acidic, and well-balanced. It is a frequent choice for blending. Although Hawaii is a state rather than a region, no list of this sort would be complete without recommending Kona coffee. Kona is a uniquely Hawaiian coffee grown on the slopes of an active volcano. Hawaii’s climate provides natural cloud cover during the afternoon hours and just enough rain on a daily basis to create a rich, delicious flavor unlike anything else. Needless to say that the regions listed in this post only scratch the surface. There are dozens of countries around the world where dedicated growers are producing some excellent beans. Just remember that processing, roasting, and blending all affect the overall taste of a cup of coffee. If you would like more information about bringing coffee service to your office, feel free to contact us at your leisure. Galaxie Coffee is proud to serve the tri-state area with a fine selection of coffees, teas, and other beverage choices. It has been said that the best kind of attention in business is positive attention from others in the same industry. If it’s true, and we believe it is, that makes it all the more special that Galaxie Coffee was recently profiled by Automatic Vending in an excellent article written by Emily Refermat. Our thanks go out to Emily and the entire Automatic Vending staff. Automatic Vending is a digital and print magazine devoted to the retail vending and beverage sectors. It is one of the most respected publications in the industry, making it all that more important that they chose to profile our company. Through Refermat’s writing, we were able to tell the Galaxie story in a way that we hope will inspire our customers, our employees, and other entrepreneurs who are not sure they have what it takes to succeed. Galaxie CEO Ed Seidenberg provided most of the information for the article. He began by explaining that our company was built from the ground up by five partners who started Galaxie way back in 1969. Back then, office coffee service was in its infancy. Galaxie’s original staff was tasked with the difficult job of convincing employers to give up their coffee clubs in favor of weekly coffee delivery from a managed provider. Those early days were not easy, but the company maintained steady growth by offering quality along with convenience. Over the next 30 years Galaxie expanded from a small facility in Massapequa to a larger facility in West Babylon, and then on to our Farmingdale headquarters. What started as a business serving a small number of customers in the Massapequa area eventually became one that services all of the greater New York metro and beyond. Ed was quick to point out that two of the keys to our success have been quality and variety. Quality has always been our number one priority, whether we sell drip coffee, single cup pods, bottled water, or juices. We want our customers to choose Galaxie because the coffee and other beverages we supply are delicious. That commitment to quality is one of the things that has allowed us to leverage our own branded coffees to such a large degree. In retail, variety also helps a lot. So over the years, we have acquired a number of competing coffee companies along with a janitorial supply company. The combined acquisitions have allowed us to expand our product inventory considerably. Today we not only deliver coffee, but we also carry a full line of additional beverages along with breakroom paper products and janitorial supplies. After 50 years of steady growth and success, Galaxie Coffee is still a family affair. Ed’s wife is part of the business, as are Neil Robbins – the son of one of the company’s original partners – and his two sons. Their vision and leadership are that which motivate us to continue working hard on behalf of our customers. Coffee trends come and go with the passing seasons. But if you stop and think about it, you come to the realization that traditional drip coffee has withstood the test of time. While other fads fade away with waning consumer trends, traditional drip coffee continues to be served at home, in offices, and at nearly every restaurant and café in the U.S.
We think that winter is a great season to get back to traditional drip coffee. In fact, setting aside those cold coffee drinks and designer concoctions with strange names in favor of drip coffee is a wonderful way to embrace this time of year. There is no doubt that drip coffee is definitely old school. Slow drip brewing dates back to the early days of pour-overs and stove-top percolators. It is what we Americans grew up on, at least where coffee is concerned. But here’s the thing: being old-school doesn’t mean drip brewing gives you inferior coffee. We have a tendency to think that anything old is not as good as newer alternatives. That is not necessarily true. Traditional drip coffee is not better or worse than any other kind of coffee. It is just different. And yes, it’s still very good. A delicious cup of old-school drip coffee is a perfect way to start the day or finish off a meal. It has been our experience that one of the reasons traditional drip coffee has such a bad reputation is that we have lost the skill of making and storing it correctly. It is like anything else. Without the skill and knowledge, you do not produce the same quality. Great drip coffee starts with the right water temperature. Ideally, drip machines should heat water to somewhere between 195 and 205°F. If the water is too cold, it will not extract enough of the ground coffee’s oil to give you the full-bodied flavor you want. If it is too hot – particularly if it’s boiling – the water will burn the coffee. Once coffee is brewed, it should be placed in an insulated carafe or a thermos. As you know, leaving coffee on a hot plate or burner ruins the flavor in short order. Why? Because the high heat burns the coffee. Along those same lines, traditional drip coffee should be consumed within a couple of hours. If it’s not, and you put it in the refrigerator overnight, reheating it in the morning will drastically change its flavor. Are you looking for something to get you and your office through the last few weeks of winter? If so, we invite you to embrace a good cup of traditional drip coffee. Here at Galaxie Coffee, we have both the coffee and brewers you need to equip your office. Winter is the best time of year for traditional drip coffee. The coffee is hot, delicious, and very comforting. For more information about adding coffee service to your office, contact us today. It will not be long before we start thinking about those annual New Year’s resolutions. 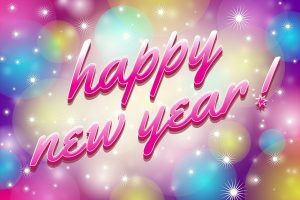 No doubt there are a lot of very good things we can resolve to do in the coming year. For some of us, 2019 resolutions will involve embracing a healthier diet. Coffee should be part of any such diet. Over the years, we have documented many of the benefits that come from consuming moderate amounts of coffee on a regular basis. We will do so again in this post. According to a 2017 report published by the New England Journal of Medicine, coffee contains more than 1,000 bioactive compounds, many of which offer potential health benefits. A bioactive compound is a compound found in food that has a direct action on the person or animal consuming it. We obviously want to consume those compounds that generate a positive action. The report also mentions “other diseases” without specifying them. The long and short of it is that the bioactive compounds found in coffee are generally good for human health when coffee is consumed in moderate amounts. The report defines moderation as 3 to 4 cups per day. Regular coffee consumption has been linked with a reduced risk of developing Alzheimer’s disease and other forms of dementia. 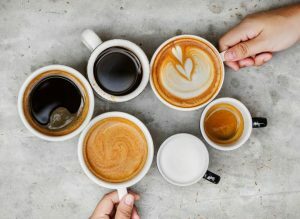 According to one 2010 study from Finland, drinking 3-5 cups of caffeinated coffee per day in middle age could reduce the Alzheimer’s risk by up to 65% later in life. Though scientists are not sure why, they suspect it has something to do with the stimulating effects of caffeine. It can be hard to find good beverages to support a healthy diet if you are not a big fan of drinking water throughout the day. Yes, you still need to consume healthy amounts of water, but what else do you drink? Coffee is an excellent substitute for diet sodas, high-sugar fruit drinks, and even energy drinks. A cup of black coffee has absolutely no sugar and only about 2.4 calories per cup. As long as you don’t add sugar or high-calorie creamer, coffee is the perfect diet drink. Finally, coffee is an all-purpose drink for dieters because it can be consumed either hot or cold. Drink it hot in the morning and cold in the afternoon. And by the way, cold brew coffee is a lot less bitter than a traditional hot brew. Many people find cold brew very satisfying without the need for any added flavorings. We are obviously huge fans of coffee here at Galaxie Coffee. If we can help you make coffee a bigger part of your New Year’s resolution diet, please let us know. We would be happy to equip your office with state-of-the-art brewing equipment and a variety of delicious coffees and teas. It is that time of year again when pumpkin spice coffees are all the rage. And no, we are not just talking about coffee shop menus. Even our customers tend to show preference for pumpkin spice, cinnamon, and other fall flavors as we turn the page from summer into winter. The question is, why? There is little doubt that America’s taste preferences change with the seasons. The thing is that we associate certain flavors with certain times of the year. For example, we associate certain foods with temperature changes and leisure activities. So it should be no surprise that what we drink this time of year differs from what we drink in the summer. You are familiar with the principle of comfort food, right? We all have those foods that remind us of youthful times of safety and security under the watchful eyes of mom and dad. We associate comfort food with mom’s cooking or visits to grandmother’s house. Well, it turns out that the same phenomenon explains why people gravitate to flavors like pumpkin spice during the fall. They are nostalgic – 27%. 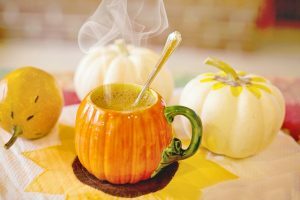 It is clear that seasonal flavors like pumpkin spice evoke good feelings in people. Those are the kinds of feelings we want heading into that time of year that is supposed to be about family, friends, and quality time spent together. The National Coffee Association says that pumpkin, cinnamon, and clove are the three big coffee flavors of autumn. By the time Christmas rolls around, it’s all about chestnut, peppermint, and winter spice. But curious minds want to know what the next big seasonal flavor is going to be. At the risk of putting ourselves out there, we are willing to make two predictions. We think hot apple cider is going to be big by this time next year. We are already seeing a couple of coffee retailers experiment with the flavor for pod machines. We think it’s going to catch on. As for winter and Christmas, we have our eyes set on butterscotch. Butterscotch is a sweet candy flavor that is often served alongside peppermint. Strangely enough, there are people whose stomachs don’t tolerate mint flavors very well. Butterscotch is going to be their go-to coffee flavor soon enough. If not this winter, then next winter. Seasonal coffee is all about comfort. We take great comfort in the tastes of the season that remind us of earlier days. And for some of us, pumpkin spice makes us feel all warm and fuzzy. That’s why it’s all the rage from early October through early December. If it’s what you want, just let us know. Galaxie Coffee has all the flavors perfect for the season.